You have to love open farm stands or even growing some fruits & veggies on your own (or perhaps poaching from a neighbor’s yard :). There are several pick your own farms in the area. 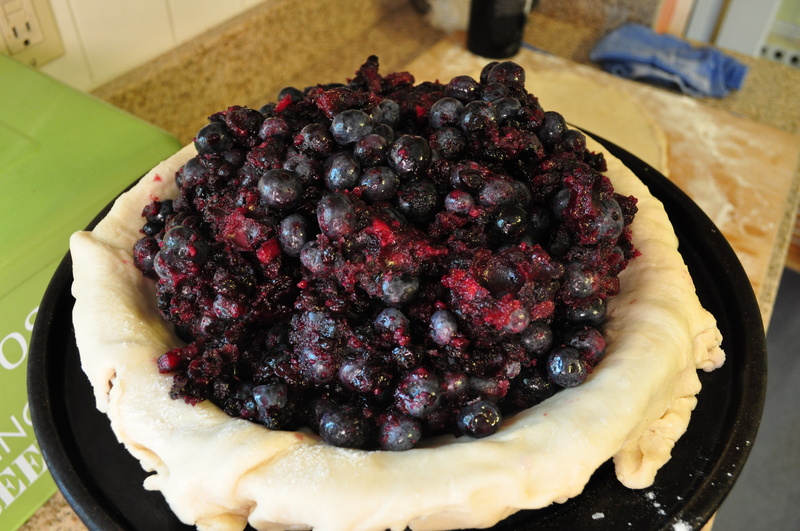 What a great way to enjoy the summer by having some fresh-baked Blueberry Pie. Although, I am in the Northeast and it is Humid. Kicking the oven on is probably the last thing anyone wants to do. So if you get inspired to make the pie, toss it in the fridge or freezer and bake it late a night or when it gets cooler. Having tired of consuming blueberry smoothies for a week, I knocked this creation out in the AM when it wasn’t so hot. The leftover bits of pie crust I used to make some poptarts with cherry and cognac filling (or any jam will do). 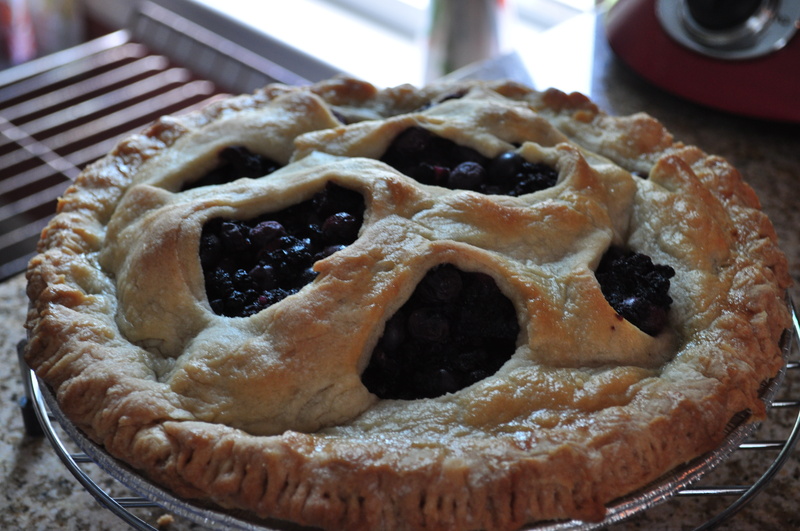 I am happy to post the recipe but aren’t there millions of standard pie recipes out there already? This is the perfect food to bring to a dinner when everyone else is offering grilled items or leftover beers from the 4th. You can be the hero just don’t forget the ice cream. Oh, and I know it is not a Pastry Chef’s Master piece. This is more an ode to Munch’s The Scream, but hey I was bored. No matter how delicious it was yesterday. If it was out in the sun all day. Toss it. The food danger zone for perishable food is between 40˚-140˚f. Do not take a chance with that Fantastic Potato Salad, Baked Mac-n-Cheese, Chicken Wings, etc unless they were stored back into refrigeration within 90 minutes after being prepared. Depending on the temperature during the day in your area, that 90 minute mark maybe pushing it. Food can spoil right after it has been prepared. Bacteria growth can get rise while that food sits in that danger zone. Potato, Egg, Chicken, Tuna or any Salad with mayonnaise can hold in bacteria if it was sitting in the hot sun all for an hour+. So if you are not certain if something went bad or not, throw it out. That is why the saying is ‘Serve hot food hot & cold food cold’. Keep this in mind for your next summer buffet and try to serve the salads over an iced container or use chaffing dishes for that hot food. Try to remove them after everyone has had a plate or two. If they get hungry later, they know where the refrigerator is. They can help themselves.